To assign a resource need to a team member, you will need to create an assignment. Simply double click on the date you want and the "Create Assignment" Tab will pop up. 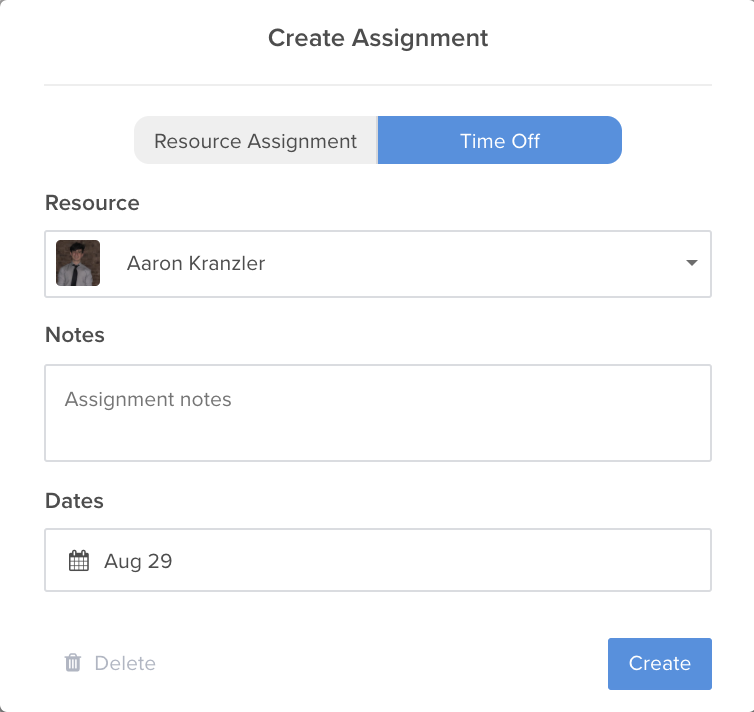 In this tab, you can assign a project to the assignment, change the resource, add notes on the assignment and choose your date range. Depending on your workflow, you can allocate the total hours or just enter the hours per day. Hive will calculate the hours per day/total based on your choice! If an assignment is assigned to a resource who has maxed out his daily working hours or has time off scheduled, Hive will show you a clash warning. Over bookings become a thing of the past. 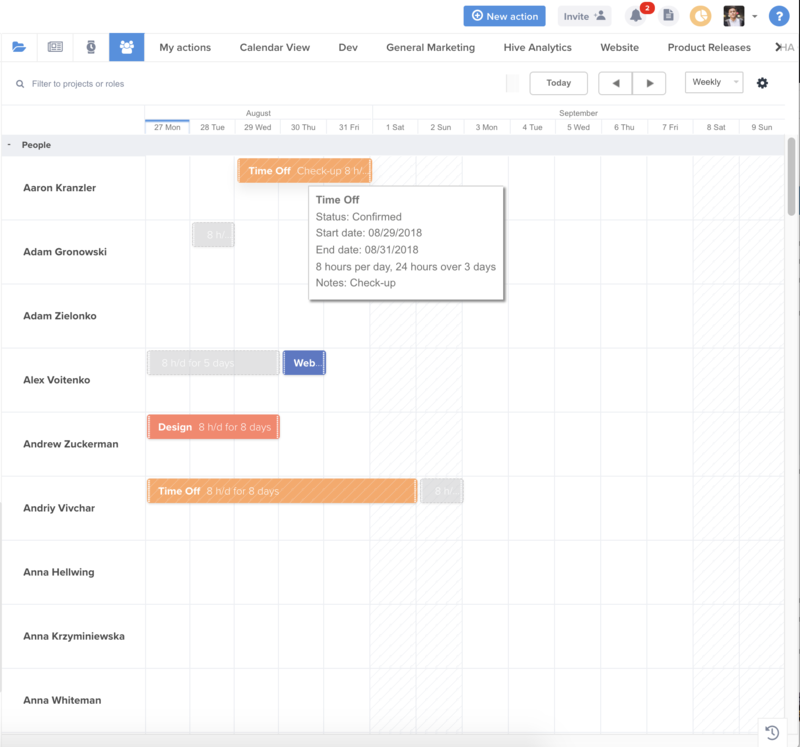 Managing time off in Hive is easy. 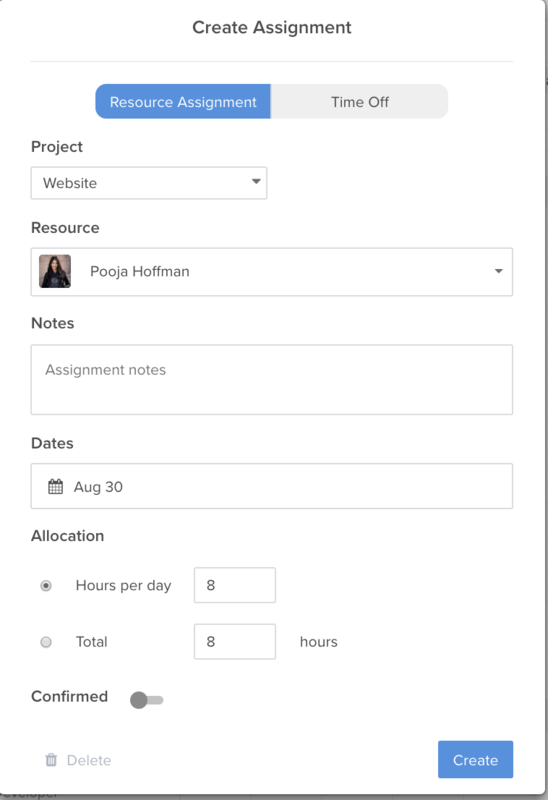 You can easily schedule time off for individual team members using the Time Off tab within the “Create Assignment” popup. You can customize the duration of time off based on the dates. This will be shown on your main resourcing tab. Any assignments assigned to a resource on time off will be flagged as "Clash." If you need to move an assignment, easily drag and drop to the appropriate resource. You will get a notification if an assignment that is assigned to you is confirmed. 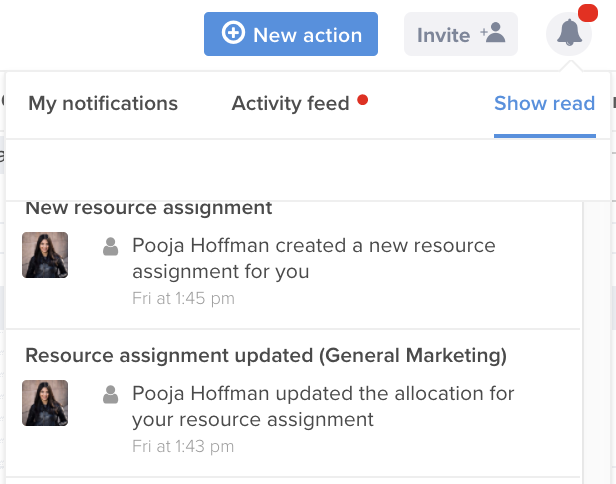 Any updates or changes made to a confirmed assignment will trigger a notification as well.